As we have mentioned, stock adjustments are inevitable and there are various reasons for the stock variance to happen. However, the reasons are usually the same. 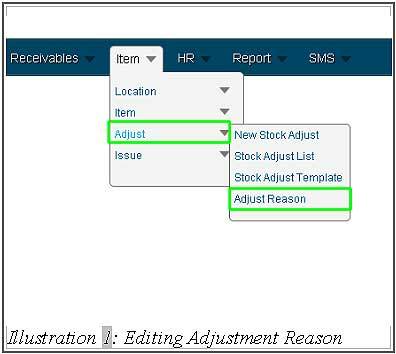 In BMO Online Inventory Management, you can pre-create several reasons into the system so your employee can select it directly when making the stock adjustment. 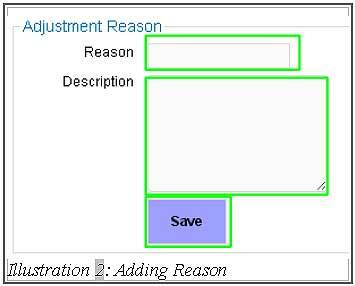 You can create several adjustment reasons in BMO Online Inventory Management System by following the steps as shown below. 1. Click on the “Adjust Reason” (Item > Adjust > Adjust Reason) on the navigation menu bar. 2. In the “Adjustment Reason”, you can fill in the “Reason” and the “Description”. But, description is optional, whether to write or not. After filling in the reason and description, click “Save”. 3. Below is the “Adjustment Reason – Type List” that you have added previously. In addition, you can “Edit” and “Delete” the reasons and description by clicking those action buttons. 4. A window will pop up after clicking on “Save” button. You can click “OK” to dismiss the message.